We are so excited that Matt Derby will be teaching a class for Frequency. Please join us on Saturday! In this class, we’ll look at how randomness can help you generate new story ideas and open up new possibilities for stories-in-progress. All beginners welcomed. Studios are geared towards drafting new work. The pieces you’ll be drafting will be about, or inspired by, select readings that the instructor will share with you. Come ready to read and discuss a little bit, and to write a lot. 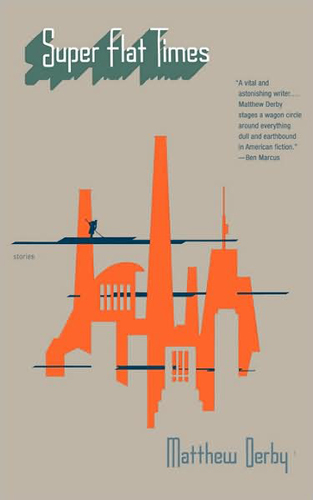 Matthew Derby is the author of Super Flat Times: Stories (Back Bay Books, 2003). His writing has appeared in Fence, Conjunctions, McSweeney’s, and The Believer, where he served in various editing capacities from 2003 to 2007. We discovered him via this story on Guernica– even if you can’t come to the class, check out the story!